I’m usually an upbeat sort of dog but losing my best friend has knocked me sideways. I can’t pretend to be happy anymore and, apparently, my people are looking for a new companion to help me out, sooner than they would have chosen. 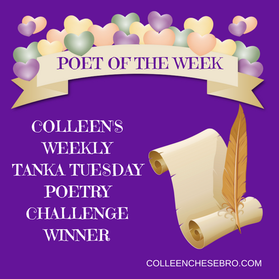 Sorry it’s such a sad poem this week, in response to Colleen’s weekly poetry challenge as I lay bare a lost canine soul. Never, ever, believe we don’t experience loss as a great sadness. Our memories linger so long because our sense of smell is so acute; our friends are all around us and we don’t understand what has happened. So that comfort mimics salt. I am so sorry Ben. You have not known what it is like to be without a canine housemate. Maisie will be hard to replace as she was pretty special.